2010 brought several new wins to Sergei on the rocks. 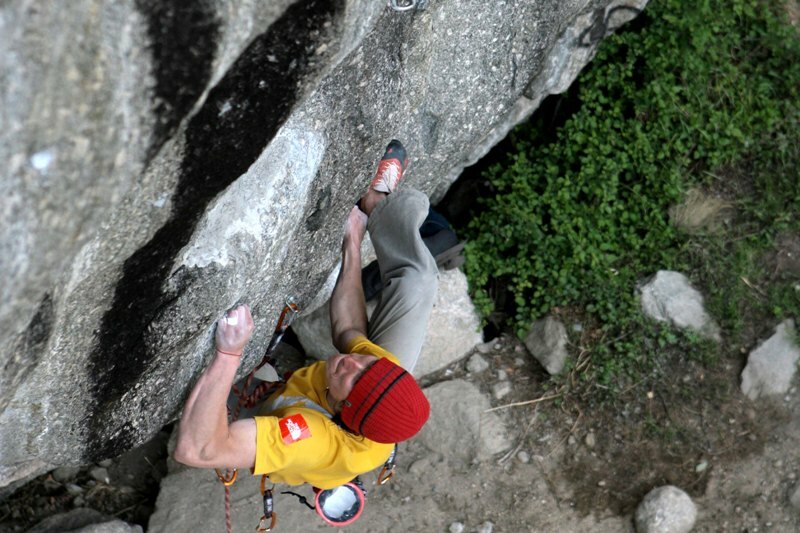 First is the first ascent of route "Vibrazioni squilibrate" 8с+/9a in Italy in May. After that there was ascents of routes Harry 8с/c+ and "Five element" 8c/с+ in Guamka (Russia, Krasnodar region) in August. The route "Harry" was the first route in Russia such category of difficulty. Good finish of the season was the ascent of the route "Trojanski kon'" 8c+/9a and "Parallelny chertopolokh" "8c/c + in the Crimea (Ukraine). Thanks to everyone who was there in 2010! HAPPY NEW YEAR AND MERRY CHRISTMAS!